It’s 1942. Europe remains in the grips of a relentless war. Just beyond the tents of a Russian refugee camp however, there shines a beacon of light, a piece of humanity amidst the chaos and destruction – a young woman reciting her wedding vows. It’s a decision that will forever alter her destiny, and a lie that will remain carefully hidden for an entire century. Since the young age of nine, Alina Dziak has known that she would marry her best friend, Tomasz. Engaged at the age of fifteen, she is blinded by love, unconcerned by reports of Nazi soldiers at the Polish border, believing they post no real threat. Her mind is far too occupied with other thoughts – dreams of Tomasz returning from his college in Warsaw so they can finally be married. But this dream slowly turns into a living nightmare when, little by little, the Nazi occupation takes hold, and Alina’s family and home are torn apart by fear and hate. As everything in Alina’s life begins to fall apart, the one thing that has given her hope – love – fades away as Tomasz disappears. Where Alina once spent her days dreaming of her lover and counting down the minutes till his next visit, she now waits with bated breath for word that he is still alive, all the while avoiding the attentions of the soldiers who patrol her family farm. It’s 2019. Alice has just received some life-changing news. Her beautiful son, Eddie, has been diagnosed with autism spectrum disorder. She does everything in her power to support him, but her family is collectively suffering, and she can’t help but feel that she is drowning under the weight of it all, barely afloat. When Alice’s beloved grandmother is hospitalised, it is too much tragedy all at once, almost too much to bear. That is, until Alice’s grandmother presents her with a hidden box of mementos, inside which lies a tattered photo of a young man, accompanied by a letter. Her grandmother has one final request – for Alice to return to Poland and see what became of her loved ones. 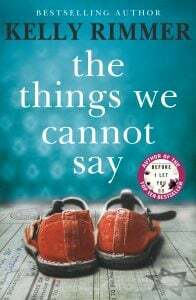 Inspired by her own family history, Kelly Rimmer has poured her heart and soul into The Things We Cannot Say, to write a raw and confronting tale of the lies that we tell ourselves, and the truths that we keep buried, in boxes and in our hearts. A multigenerational tale shifting between WW2 and the present day, the novel showcases the lives, love, and loss of two women, each suffering in their own unique ways, each torn between the past and the future. For readers who enjoy not only historical fiction, but also multigenerational stories and strong, female characters, this book is a rich, deeply moving, life-affirming experience. 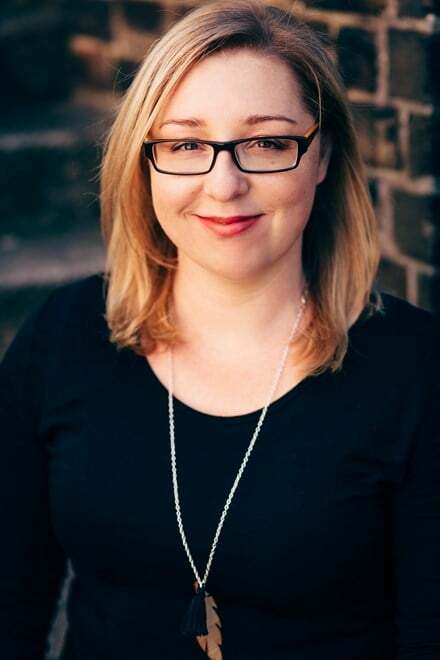 Kelly Rimmer has sold over 600,000 digital copies of her previous four novels: ME WITHOUT YOU, THE SECRET DAUGHTER, WHEN I LOST YOU and A MOTHER’S CONFESSION. BEFORE I LET YOU GO was Kelly’s first novel with Hachette Australia and was a Top 10 bestseller. 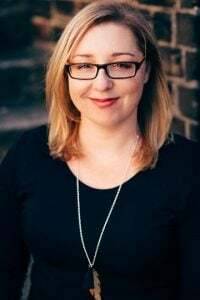 Kelly lives in rural NSW with her husband, two children and fantastically naughty dogs, Sully and Basil. Her novels have been translated into more than 20 languages.